Kudos to Jeremy Beller on his MA! Congratulations to Jeremy Beller, Univ. 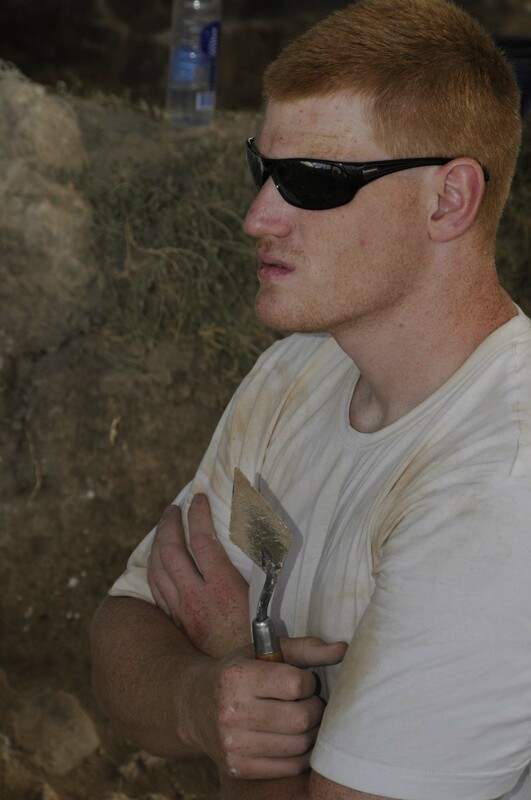 of Manitoba team member, who has completed his MA thesis at the University of Manitoba, under the supervision of Prof. Haskel Greenfield, on the basalt ground stone tools from the EB levels at Tell es-Safi/Gath. In his thesis, Jeremy studies the typology, technology and provenience of these objects. The thesis is entitled: “The life-history of the basalt ground stone artefacts from an early urban domestic neighbourhood in the southern Levant: the remains from Early Bronze III Tell es-Safi/Gath, Israel”. The research presented in this thesis is a reconstruction of the life-history of basalt ground stone artefacts from the recently excavated urban settlement of Tell es-Safi/Gath. In a broader scope, the life-history encompasses the production, distribution, and consumption of these artefacts. The investigation into these economic components sought to provide information on the domestic life and activities at Tell es-Safi/Gath and in the southern Levant, the socio-economic standing of Tell es-Safi/Gath in the Shephelah, and the nature and impact of economic systems in early complex societies of the southern Levant. This was examined through archaeological excavation, a provenance analysis using XRF, a typological analysis, and macroscopic observations. middlemen to Tel Yarmuth or directly to Tell es-Safi/Gath in the Shephelah where they were further redistributed to the settlement residents by a centralised authority. The socio-economic role of Tell es-Safi/Gath is considered to be one of top-tier dominance within the Shephelah given its large size and role in intra-regional exchange networks. Within the neighbourhood of Tell es-Safi/Gath, the residents utilised the basalt artefacts for traditionally domestic tasks, further indicating the non-elite status of the neighbourhood. As such, economic systems are stressed as an important contributing factor to the development and maintenance of early complex societies within the EB II-III southern Levant. Cynthia Shafer-Elliot and a couple of students from William Jessup University are interviewed on TV!